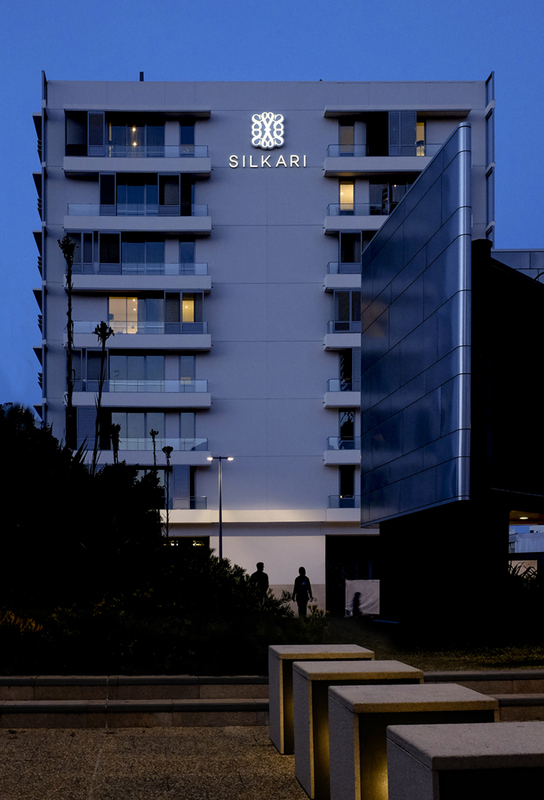 Silkari Suites at Chatswood a 212-suite hotel, with hotel wayfinding proudly designed by BrandCulture. 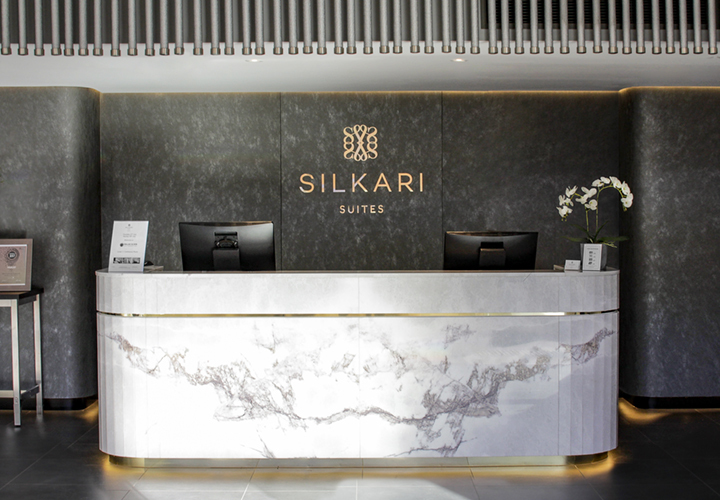 Silkari Suites at Chatswood belongs to an extraordinary residential and hotel brand created by Visionary Investment Group. 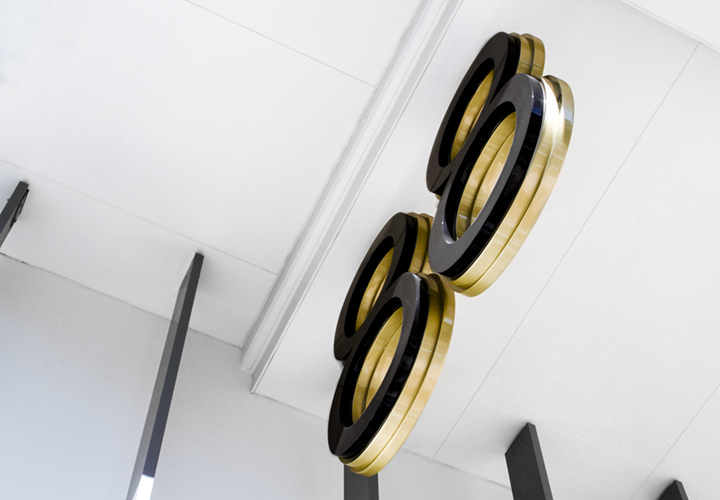 It welcomed its first guests in December 2016, when BrandCulture was proud to unveil its hotel wayfinding designs and environmental graphics, which can now be spotted everywhere from reception to various levels of the hotel. Visionary Investment Group is a progressive developer with a strong vision for bringing luxurious levels of service to Australia via a family of Silkari residencies and hotels. They’re creating elegant venues that are on par with the best hotels in New York or London. 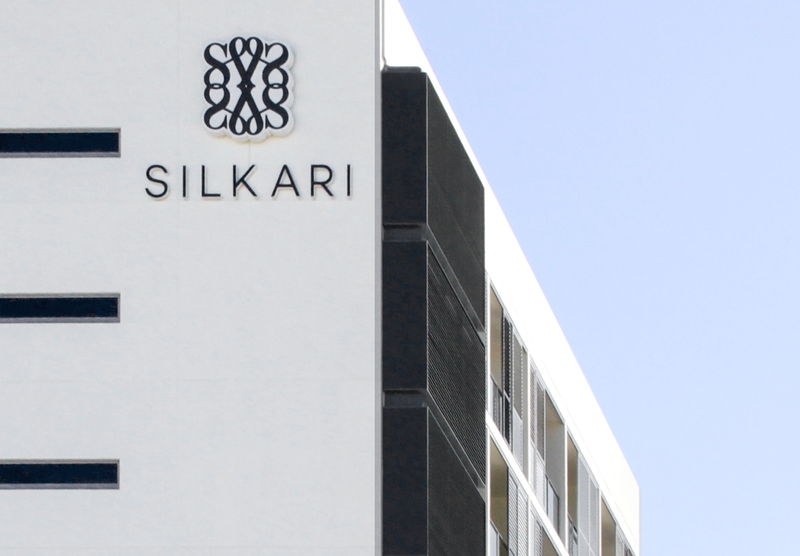 We love Silkari’s vision of entwining different cultures and creating a new kind of hotel, where the “silk” in Silkari represents a meeting of East and West. This inspired our wayfinding concepts, which use soft, natural materials and delicate silken threads to weave the hotel’s corridors and spaces together. This project involved working with everyone from electrical engineers to builders, tradesmen, painters and councillors. We had to think about everything from the girth of delivery trucks servicing the hotel’s retail venues and eateries, to how to use existing infrastructure to hang signage, lights or lanterns. 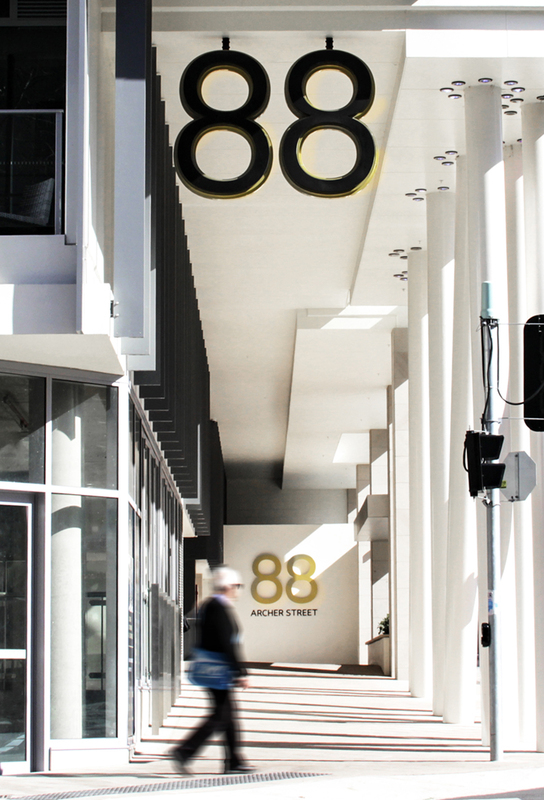 We were also involved in preparing Development Applications and liasing with local council, utilising our knowledge of industrial design to brainstorm concepts for Mills Lane – a laneway connecting The Concourse and Archer Street. 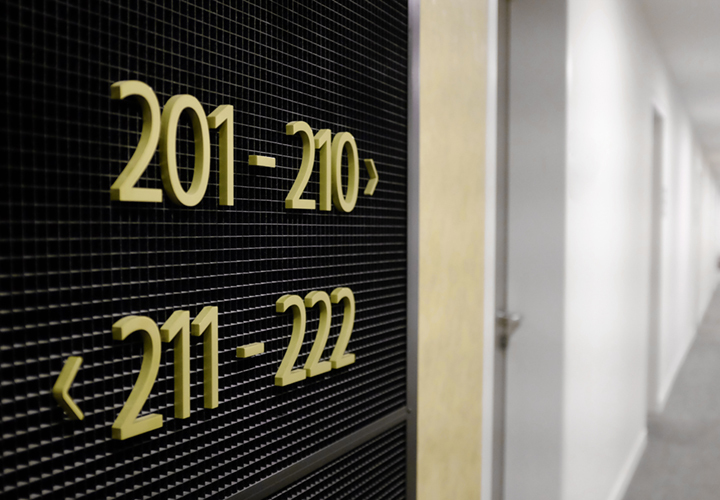 We love hotel wayfinding projects like this one because they provide an opportunity for “pure collaboration” between lots of different kinds of experts, as opposed to working in silos. Wayfinding design is often the best conduit for collaboration: it brings together such a wide mix of people working together to solve a wide mix of challenges. 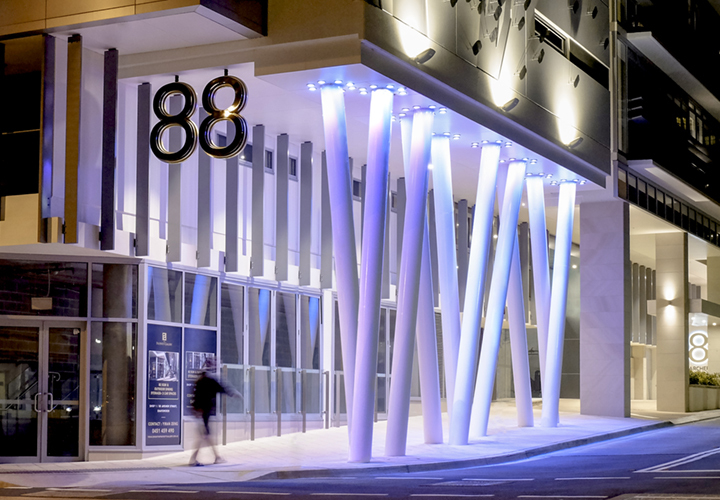 Silkari Suites at Chatswood is located at 88 Archer Street in the heart of Chatswood’s arts and entertainment precinct at The Concourse.